Did you know that many companies will double or even triple your tax-deductible donation? Some even match gifts made by their employees’ spouses or retirees. WFP USA understands the importance of being guided by a greater mission. Employee engagement enhances job satisfaction, loyalty and dedication toward your organization’s goals. It supports individual performance and drives business outcomes. Organizations with highly engaged employees had an average three-year revenue growth 2.3 times greater than those whose employees showed average engagement, according to a report by the University of North Carolina. Through the app, companies can match donations, as well as customize and brand a team for their employees to join. 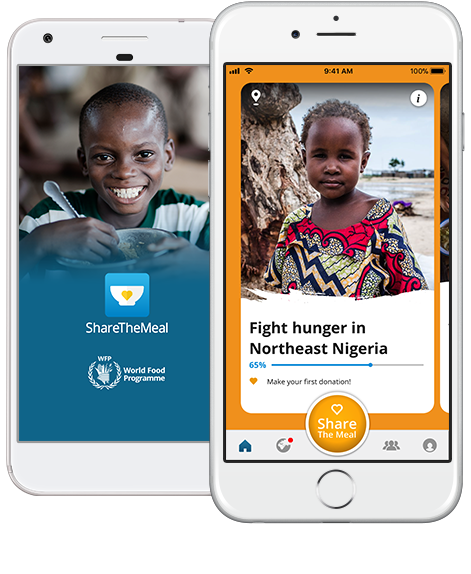 Ready to use the Share the Meal app? Please email matchinggifts@wfpusa.org with questions.